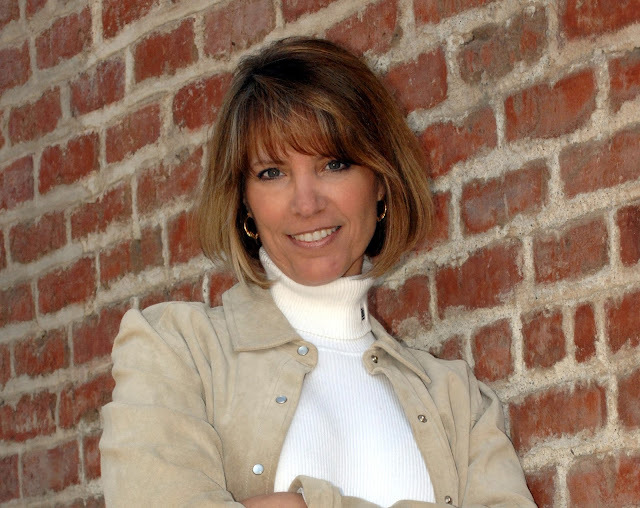 We are delighted to welcome Robin Burcell, coauthor of the New York Times bestselling Fargo series, to bask In the Rogue Limelight. I can't tell you how long I've known Robin, but I can tell you she's one heck of a poker player, a regular card shark. Fitting for someone who spent nearly three decades working in law enforcement as a police officer, hostage negotiator, criminal investigator and FBI Academy-trained forensic artist. What I didn't know was that she was the first female officer for her department, or that her badge read "Policeman" and her locker room was actually a converted storeroom. I also never knew that her childhood dream was to be an Olympic ice skater. Lucky for us she became a writer. Have you ever wished for something, while keeping it secret from everyone, because it was one of those wishes that seemed less than honest and more than likely unattainable? I had that wish the very first time I saw a James Patterson book with a co-author’s name on it—he was one of the first to take up co-writers. I recall thinking to myself that I’d love to have a job writing with an established author. At the time, I was a fairly new midlist author with aspirations of one day making the New York Times list—something that in my naiveté, I’d always thought of as the holy grail of writers everywhere. Was it less-than-honorable getting there by holding onto the coattails of another, bigger author? As the years went by, some of my friends were either co-writing, creating, or stepping into established series (including Rogue Women writers Gayle Lynds and Jamie Freveletti). I was afraid to even mention my aspirations of following in their footsteps. Co-writing, while an honest profession, makes some writers uncomfortable, as though they’re selling out at the expense of true art. How can you be a real writer, when you’re writing for someone else? Not that it mattered. I didn’t have the secret decoder ring to get into the co-writers club. 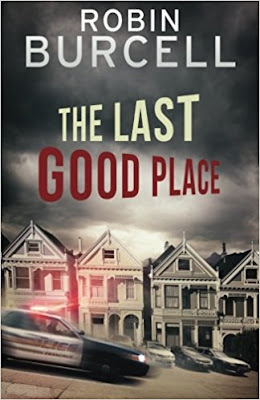 The closest I’d ever come to a brush with big-name fame was when TV writer and Brash Books publisher Lee Goldberg called me up, asking if I’d write the next installment of the late Carolyn Weston series. Her books were the basis for the TV show The Streets of San Francisco. My background of being a police officer, and my earlier police procedural series set in San Francisco, made me a good fit for the project. I jumped on the chance, penning The Last Good Place. I’d no sooner finished that book, when I was wandering the bookstore as I often do when I’m looking for inspiration, and I happened to see a Clive Cussler book with the name of another friend, Boyd Morrison, listed as his co-writer. I bought the book, brought it home to read—wanting desperately to ask Boyd how he landed that job, but still not wanting to reveal I’d secretly longed for something similar. Sometimes you have to wonder about Fate. Before I even had a chance to broach the subject with Boyd, I received an email from Clive Cussler’s agent, telling me that Mr. Cussler wanted to speak with me. But what if I was wrong? What if this email had to do with something else? Something not book related? When I failed to come up with any other logical reason why someone of Mr. Cussler’s caliber would want to talk to a budding thriller writer like me, well, let’s just say I was a tad bit excited. A (very long) week later, the call came, and I was invited by the Cusslers to stay with them in Arizona and discuss the possibility of co-writing the Fargo series. By the time I left Arizona, Clive and I had plotted out an entire novel, and were well on our way to our first collaboration. After that, we went back and forth via email, or a phone call. When something really needed clarification, a quick trip to Arizona going over things page by page usually did the trick. Clive is a very hands-on co-writer, which I love. What surprised me the most was that my switch from writing international law enforcement action/adventure to writing international treasure hunting action/adventure wasn’t as easy as I’d imagined. On one occasion, going over a scene in PIRATE (where Sam is trying to rescue someone from kidnappers), Clive and I both had different ideas on how it should be written. In my version, I was coming at it like a cop, and I pointed out that his version bordered on illegal. He reminded me that Sam wasn’t a cop. In the end, we melded both versions and the scene turned out great. 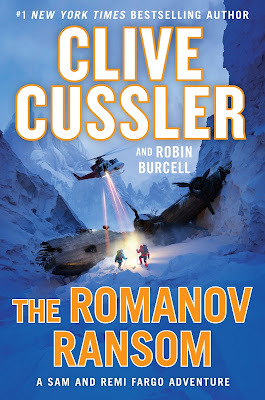 Our second book, THE ROMANOV RANSOM, comes out September 12th. We’re actually on our third book together, and I’ve enjoyed every bit of the process. Of course, one question that comes up quite often when anyone hears my story is how my name and books came to the attention of Clive Cussler and his publisher. (Heaven knows, that was one of my first thoughts as well.) I found out later that the Cusslers knew Barbara Peters of the much-beloved Poisoned Pen Bookstore in Scottsdale, Arizona. When she learned that Clive was looking for a new co-author for the Fargo series, she recommended me for the job. So, I hope you’ll forgive the cliché, but in my case, wishes really do come true. Hi Robin: Great to see you here! So interesting to read about the process that you and Clive have for co-writing. Especially how you came at a scene as a cop would and he as a civilian. I wish Ludlum had been alive for the Covert One series. Can't imagine how much I would have learned from him. Looking forward to THE ROMANOV RANSOM! I loved your blog, Robin, and am so thrilled that you and Clive are working together. The result is magic! Welcome, Robin -- great to have you here....really enjoyed reading about your "quest" to be a co-author. What a terrific experience it obviously is to work with a great author like Clive Cussler! Now I can't wait to read the ROMANOV RANSOM (love the title). One quick personal aside - when you mention the TV show STREETS OF SAN FRANCISCO, it reminded me of how, many years back, their producer asked to use my then-home in SF for one of their locations. It was great fun watching their characters running/leaping/escaping over my roof. Now, thanks for a great post. Thanks for the warm welcome, Karna. Any idea which episode that was on STREETS? I have all the DVDs. It'd be fun to watch it. Hi Robin. I've known and admired you for a long time, and I'm so happy you've achieved your dream. And as far as I am concerned, you are hitting it out of the ballpark (or the ocean) on this series! I'm curious, Robin--are you also working on books you intend to publish independently from Clive Cussler, or is there too much on your plate at the moment for that? At the moment, I'm only working on the Fargo series. I was hoping I'd get into a good enough rhythm to do my own, but Life sort of got in the way. I still hope to do that, but right now, one book a year is working. Thanks so much for blogging, Robin. Not many of us who wouldn't want a shot at co-authoring with a well-known author. It sounds like you're having fun with it! You go! Thanks, Chris. And thanks to all the Rogue Women for letting me participate in your blog.